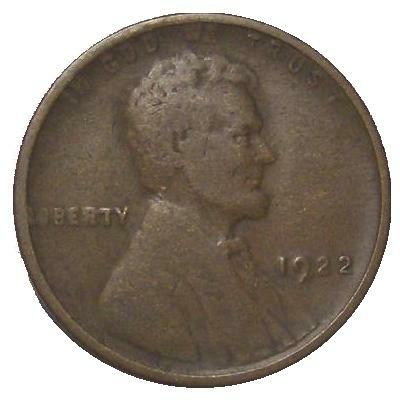 How To Identify A 1922 “No D” Lincoln Wheat Cent – Coin Help! The 1922 “No D” Lincoln Cent is one of the most desirable dates in this series, and is one of the most counterfeited and mis-identified varieties in small cent collecting. 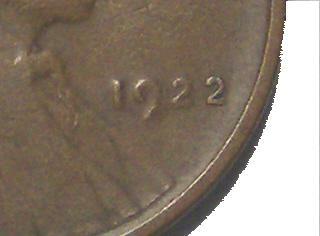 First, a collector must learn why some 1922 cents don’t have a mint mark, an important part of authentication. The dies used by the Denver mint that resulted in “No D” and “Weak D” mint mark 1922 types where beacause of over-used dies. This resulted in some 1922-D Cents to have weaknesses in details of many of the design features, and not just the the mint mark. It’s this reason that helps the collector better identify authentic “No D’s” and “Weak D’s”. 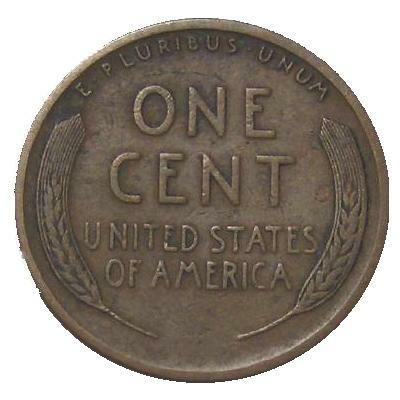 A fully struck 1922 without a mint mark is 99% of the time an altered 1922-D, where the mint mark was removed. Almost every 1922 “No D” types will show weakness in strike on much of the details. An example is the picture below. Many No D types will show a strong TRUST while the rest of the motto isn’t clear or as detailed. Also, a No D will have a strong second 2 in the date as shown in the picture below. It also must not have any trace of a mint mark, if it does, then it will always be authenticated as a 1922 Weak D.
1922-D with full mint mark: A semi-key date that was struck with new dies. 1922 Weak D: The dies where overworked, but not as overused as the dies that create the No D.
1922 No D Weak Reverse: The obverse and reverse where struck with overused dies. 1922 No D Strong Reverse: The obverse was struck with an overused die and the obverse with a new die. Remember, the dies that created these coins where overused and overworked dies. So, a Weak D or No D 1922 Lincoln Cent will always show weakness of other features of the coin’s design. Always pay close attention to the area where the mint mark should be located, and look for any signs that the D has been artificially removed.